The Jakarta Goods and Services Procurement Agency (BPPBJ) is socializing local pre-catalog system development to the ranks of SKPD under Jakarta Provincial Government. It is held in the Block H building's professional room, City Hall.
" The key to the success of developing a local catalog is the commitment, institutional, human resources, market and governance"
It will be held for two days, precisely starting yesterday until Tuesday (12/14). 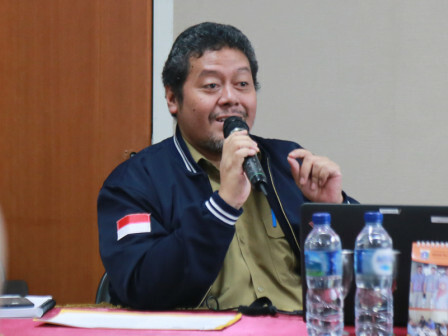 Jakarta BPPBJ's Procurement Information System Management Section Head, Indra Patrianto disclosed that it aims to share understanding to SKPD about procedures for using local catalogs for proposed procurement of goods and services. "On the first day, it is participated by 30 representatives of SKPD. Totally We invited 100 people," he expressed, Monday (12/3). It is hoped that 99 percent of procurement development uses local catalogs until the process can be faster. "The key to the success of developing a local catalog is the commitment, institutional, human resources, market and governance," he stated.